Sustainability is all over the media and is attracting the attention of governments, businesses and consumers alike. The planet has, as a whole, made steps towards becoming more sustainable, with the ratification of the Paris Agreement and other global agreements striving to take action. It has now got to the point where businesses cannot actively avoid having a stance on sustainability and will need to invest in it to keep their heads above the water. With technology really making its way into everything (IoT – Internet of Things), we can expect to see an increasing number of gadgets that will help monitor and keep track of different measures of sustainability and help us achieve our targets. 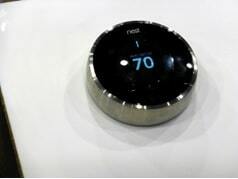 Take a look at Google’s Nest thermostat, for example, which will allow consumers greater control over the temperature in their homes and can keep temperatures in check even when away from home, resulting in savings of 10-12% on heating and 15% on cooling (link). The IoT will also pave the way for perhaps the biggest player of all – big data. Big data, the term for data sets so large that traditional processing techniques are rendered inadequate, allows for Big Data Analytics, the method of examining the data to uncover hidden patterns and correlations in the data, including market trends customer trends and other information. Economics aside, Big Data Analytics will pave the way for better logistics, resulting in CO2 offsets and other benefits. UPS, the global delivery company, recently revealed they had used uncovered data to minimise and often eliminate left-hand turns, resulting in millions of gallons of fuel saved and fewer accidents. It may seem counter-intuitive, but that’s the beauty of big data! The solar power plant at Ivanpah, California, partially owned by Google. Aside from the goodwill factor of sustainability, it makes your company look good. Look at the global market leaders in their fields – Google, Amazon and Ikea have announced huge plans regarding sustainability as they plan into the future zgthxp3. Google, the largest corporate purchaser of renewable energy, is the leader in the clean energy revolution. This year, 2017, Google will reach 100% renewable across the globe, in both its data centres and offices, sourcing 2.6 gigawatts of energy from wind and solar. Ikea have pledged to be completely energy independent in all its shops by 2020, investing over $680 million over the next few years to do so. Not only will this reduce their carbon footprint, but will take a significant portion of their energy bill away, resulting in significant financial savings in the long run. Workplaces will also adapt to sustainability. Flexible hours and schedules that allow for workers to come into work earlier or later than usual will reduce congestion and slice emissions while working from home can negate transport emissions. Workplaces are being fitted with sustainable designs, which encourage productivity and employee wellbeing while having a positive environmental impact. Using energy saving windows can yield huge savings, as well as using an intelligent design for the construction and fitting of the building. These are all being fitted into new builds around the world, but it is up to you as a business to take the extra step forward to reduce your environmental impact. Being sustainable in business is no longer an option – it’s something that simply can’t be turned down any longer. Governments are making a push for sustainability more than ever before and businesses are following suit. It makes financial to do so, as the efforts are minimal and can yield big financial savings and reductions in CO2 emissions. As the Harvard Business Review suggested, companies that invest in sustainability tend to do better financially and are more likely to display higher levels of innovation and entrepreneurship. She explores what is the most carbon efficient way of eating, be it; Vegan, Vegetarian, Beef or Meat without Beef. In conclusion I think we will be eating ‘way less’ beef! More recent studies show that food system emissions could account for as much as quarter of all human emissions tamiflu dosage for adults. That is 12% from agricultural production, another 9% from farming induced deforestation, and a further 3% from things like refrigeration and freight.